Comes with everything needed for easy installation. 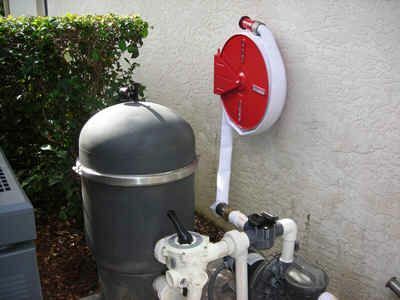 Specially Designed to be installed on your swimming pool plumbing using your existing pump and filter. 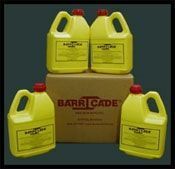 Package Includes the fire hose/reel system, 3-way valve, all fittings, glue, protective cover, and detailed instructions. Think of your swimming pool and filter system as a fire truck already on the scene ready to protect your house from disaster in the dry season. All you need to put your pool to work is a system to utilize your existing pool pump and the pool water to best advantage. 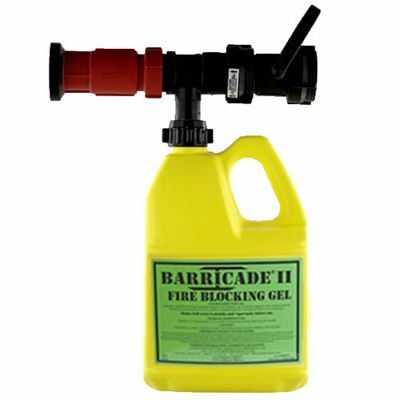 You will no longer be dependent on the fire department arriving in time to save your property in the event of a fire. The answer is our patented home protection system which can be installed in less than an hour. It comes with everything needed to install on most homes in less than 1 hour. 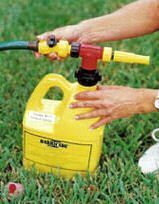 The system is economical since you already have a pump that will deliver 15-20 times the volume of a garden hose. 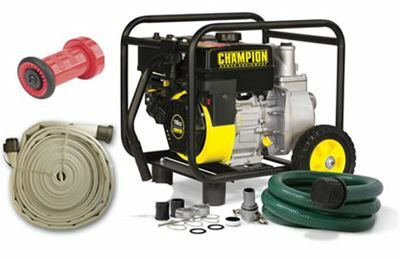 The professional fire hose and reel system is ready to use wet down your property in under 2 minutes by changing the position of the included diverter valve installed between the pool pump and filter. The adjustable nozzle is ready to use as a direct stream or a wide fan. The system is conveniently stored on the reel flush against the house until needed. It is protected from the elements with the easily removable cover that is provided. Insurance companies will give you a discount on your homeowners insurance once the system is installed which will often pay the cost of the system back in 2-5 years or less! Easy to install by homeowner with instructions provided. All the necessary hardware and plumbing is included in the package. Fits either 2" or 1½" standard PVC plumbing. 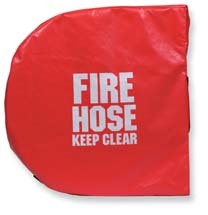 Once installed the reel with the fire hose is stored flush against the house and protected from the elements by the included cover. The cover is held in place by Velcro and is removed in seconds making the system ready to pull the hose from the reel. 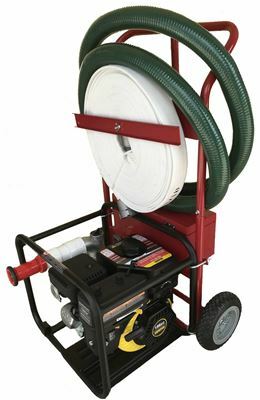 The hose is a professional quality jacket hose and is 100 feet in length. When the hose is extended, a flip of the included valve activates the water flow from the pool pump without the restriction of the swimming pool filter reduce the flow of water to the system. 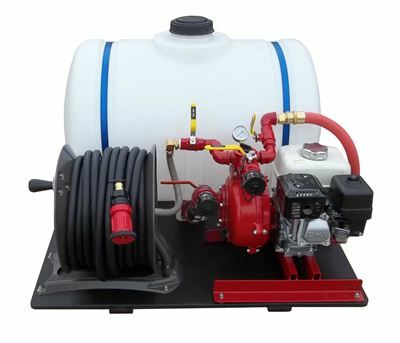 Package Includes: the fire hose/reel system, 3-way valve, all fittings, glue, protective cover, and detailed instructions.